Went somewhere for the holidays? The Link made sure to get the story while you were out. 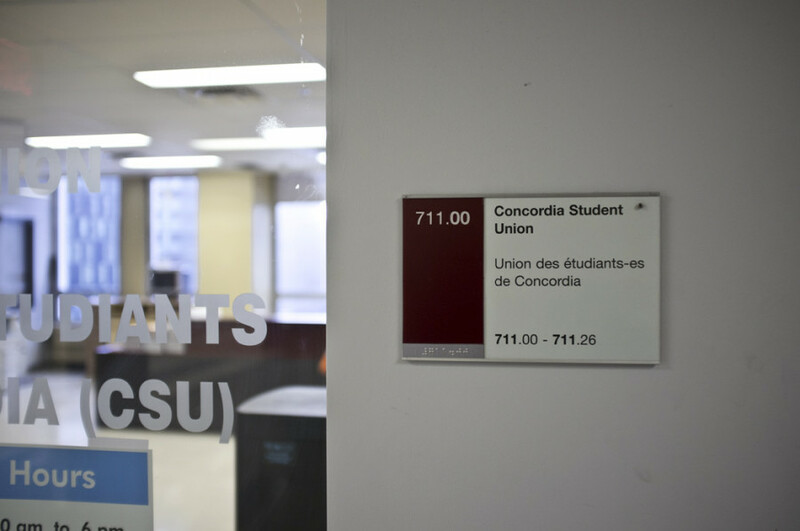 The Concordia Student Union will not hold a winter Orientation this year as the week of events “historically has not attracted enough students to justify its cost,” the union announced Monday. The CSU executive is instead promising to host a “student engagement fair” and events related to the topic of gender, as well as a party at the as-yet-unopened Hive Café. The café is meant to be a student-run alternative on the Loyola campus to Chartwells-operated cafeterias. Last year, the student union allocated $60,000 towards its winter Orientation. Concordia’s Simone de Beauvoir Institute, a college devoted to studying feminism and social justice, supports the Supreme Court’s decision to strike down three Canadian laws related to prostitution. In a unanimous ruling on Dec. 20, the Supreme Court deemed prohibitions on brothels or bawdy houses, public communication for the purpose of prostitution and profiting off of prostitution to be unconstitutional. The institute was granted intervener status by the Supreme Court, allowing it to make arguments in the case despite being a third party. In legal documents filed with the court, the institute stated it doesn’t subscribe to an “abolitionist-feminist discourse” that views prostitution as fundamentally harmful to women. The institute also opposed the ban on brothels and profiting from prostitution. The Supreme Court gave Parliament one year to rethink the country’s prostitution laws. An article published in the Jan. 3 issue of La Presse has been pulled from the French-language newspaper’s website after Concordia contested some of the facts it contained. The article claimed Concordia’s graduation rate has fallen sharply in recent years. According to the article, 75 per cent of Concordia students who began their studies in 2001 had obtained their diplomas six years later, but by 2012, only 48 per cent of those students who entered Concordia six years earlier had graduated. Such a graduation rate would put Concordia far behind other Quebec universities. According to the article, the Université du Québec à Montréal, the Université de Montréal and McGill University had completion rates of 68 per cent, 78 per cent and 84 per cent, respectively, for the cohort of students entering university in 2006. But Concordia argues its graduation rate—actually 74.2 per cent for full-time undergraduates, according to the university—is favourable compared to the national average. “This faulty information about graduation rates is the result of an error in interpreting the data provided to the newspaper,” reads a statement posted on Concordia’s website. According to the university, the reporter compared 2006 graduation rates for full-time students to 2012 graduation rates for part-time students, leading to the incorrect conclusion that graduation rates had fallen drastically. Councillors and executives of the Concordia Student Union were divided at the last council meeting of 2013 on the best way to create a new café on the Hall Building’s mezzanine in the location currently leased by Java U. In the CSU’s November byelections, undergraduates voted 89 per cent in favour of giving the union a mandate to “establish or help found” a student-led co-operative café or restaurant in the space, which is managed and operated by the CSU’s for-profit arm, CUSACorp. However, CUSACorp hopes to put out a request for proposals, a process that would see interested parties like non-profit organizations or businesses submit proposals to the CSU which would then be evaluated according to a predetermined set of criteria, such as whether the food will be locally sourced or the café would provide employment to students. CUSACorp would then ask students to vote on the different proposals received. VP Sustainability Benjamin Prunty told The Link that “[CUSACorp’s] recommendation was short-sighted and that adopting it would be in contravention of the Judicial Board’s reference decision.” The JB decided on Nov. 9 that the results of a referendum are binding on the CSU and that the CSU has the power under Quebec law as sole shareholders to issue directives to CUSACorp, despite the CSU’s own bylaws stating the union will respect CUSACorp’s autonomy. “I have to be very firm in standing by the mandates that I get from students so long as they’re not injurious to other students,” CSU President Melissa Kate Wheeler told The Link. The topic was eventually tabled until the next council meeting, which is scheduled for Jan. 8. The meeting also saw the union create three new paid positions: an events coordinator, a sustainability coordinator and a financial assistant. Wheeler said the goal is to assign some of the “non-political” administrative tasks currently performed by vice-presidents to union employees instead. “There’s enough work that is purely administrative that we could create these positions safely,” Wheeler said. Wheeler said the positions wouldn’t be filled this academic year as the current executive has only six months left in its mandate. However, next year’s executive will have the option to fill the positions, provided that it budgets for them. “We’ve created these positions as an investment in the next executive,” said Wheeler.